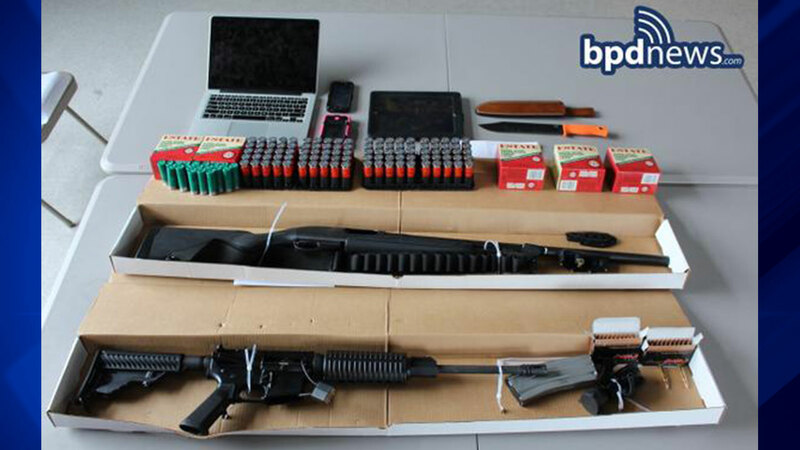 BOSTON (WLS) -- Two men were arrested for threatening attendees of the Pokemon World Championships in Boston. Kevin Norton, 18, and James Stumbo, 27, were both arrested at the event after detectives were tipped off to threats made on social media, according to the Boston Police Department. Hundreds of children from 30 countries were attending the event, which includes video and trading card game competitions. Norton and Stumbo, both from Iowa, were found in possession of several guns, including a 12-gauge shotgun, an AR-15 rifle and several hundred rounds of ammunition. Both men are charged with unlawful possession of a firearm, ammunition, and other firearm related charges. The Pokemon Company International released a statement thanking their community of players for making them aware of the security issue and giving it to authorities as soon as possible. "Due to quick action, the potential threat was resolved. The Pokemon Company International takes the safety of our fans seriously and will continue to ensure proper security measures are a priority."